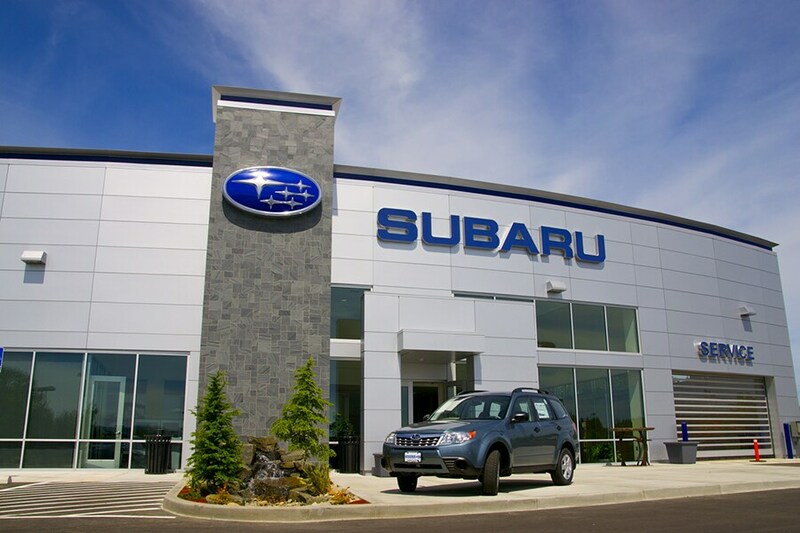 When you visit Peoria Subaru you will experience the world class service of a knowledgeable and experienced staff. We are committed to your satisfaction and strive to exceed our customers' expectations. Our greater Peoria, AZ, Subaru dealership has a large inventory of new and used cars and we are confident that we will put you into the car of your dreams. Our Subaru dealership in Peoria served many customers from Phoenix, Glendale, AZ, Surprise AZ, Sun City, AZ and Avondale, AZ. Set up a test drive by contacting our friendly sales staff or submitting a short form on our inventory details pages. If you're looking for a quality new vehicle at a reasonable price, look no further than our selection of new Subaru Peoria models. Browse our current selection of new 2018-2019 Subaru car and SUV lineup, where you'll discover plenty of vehicles to choose from, so, no matter the type of automobile you're looking for we have something to fit your needs. Call us and speak to a friendly salesperson today! We have helped many people from Phoenix, Glendale, AZ and Avondale, AZ, get into the car of their dreams. Our large inventory and pleasant atmosphere make us a leading Subaru dealership for the Peoria area. Peoria Subaru Provides Quality Used Cars from ALL over the Valley. Need to find that perfect pre-owned car or used Subaru in Peoria, AZ? Look no further than Peoria Subaru. We can save you thousands and connect you with the right used car, truck or pre-owned vehicle today! We know you will find a used car in Peoria, AZ, that compliments your style because we have an always-changing extensive selection of stellar used vehicles. Our greater Phoenix area used car inventory provides cars, trucks, SUV's and vans by many of today's top automakers. If you have not been able to locate a specific new or used car in Peoria we are at your service. Complete our no-obligation CarFinder form so we know what type of used car to search the greater Phoenix area for and we will alert you by email when a matching vehicle arrives at our Peoria Subaru dealership. For a low interest car loan and Subaru leases in Peoria, AZ, visit our auto financing department. The Peoria Subaru financing team is here to assist you through the entire car loan process. We are the Peoria new and used car dealer that will work to find the finance option that works for you! Start the approval process right now by filling out our secure car loan application online! Get the repair and parts your Subaru needs from the industry experts at Peoria Subaru. Our mechanics will make sure your car is fixed right the first time, and our professional parts department has a large inventory of auto parts to fill orders quickly. For car repairs in Peoria and original Subaru car parts, visit Peoria Subaru located at 8590 W. Bell Road. The employees at Peoria Subaru look forward to your visit. Give us a call or use our step by step directions to visit the Peoria, AZ, Subaru dealer with unbelievable deals and superior service, Peoria Subaru.We are a short drive from Phoenix, AZ, Glendale AZ, Surprise AZ, Sun City AZ and Avondale AZ.